For many homeowners, choosing between a high gloss or matt kitchen is easy. On most occasions, clients know exactly what they want and generally pick a finish that suits their needs. If you aren’t so sure about your decision, you should take some time to consider your options. One way of helping you decide is to speak to expert kitchen designers. Selecting the right product is important, so why not consult with one of our specialists before beginning your project? 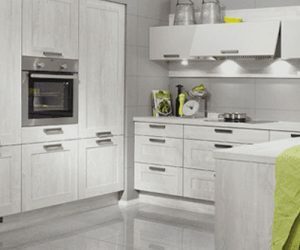 Installing a kitchen which offers both style and durability is vital for any homeowner, it is a big investment, so you should make the most of your decision. When choosing a gloss finish, you must evaluate your lighting system, the type of colours you have in your kitchen will affect the way light bounces off your units. When picking a colour for your kitchen, it is better to stick with a single gloss rather than saturating the space with too many colours. 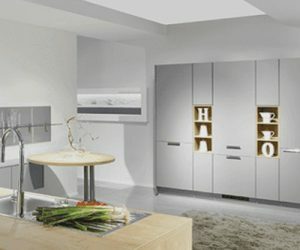 If you are going for a specific style or design concept, it is advisable to speak to one of our luxury kitchen installers to find out more about layout options and appliance fittings. Maintenance: One of the main reasons why so many customers choose high quality gloss in their kitchens is maintenance, they require very little attention. 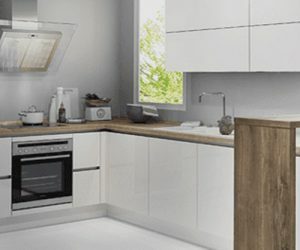 Our range of first-class high gloss kitchens at Solstice Kitchens ensure cleaning is made simple, all you need is a non-abrasive cloth and some lukewarm water. It is recommended to avoid using bleach as it can damage the surface of your kitchen. 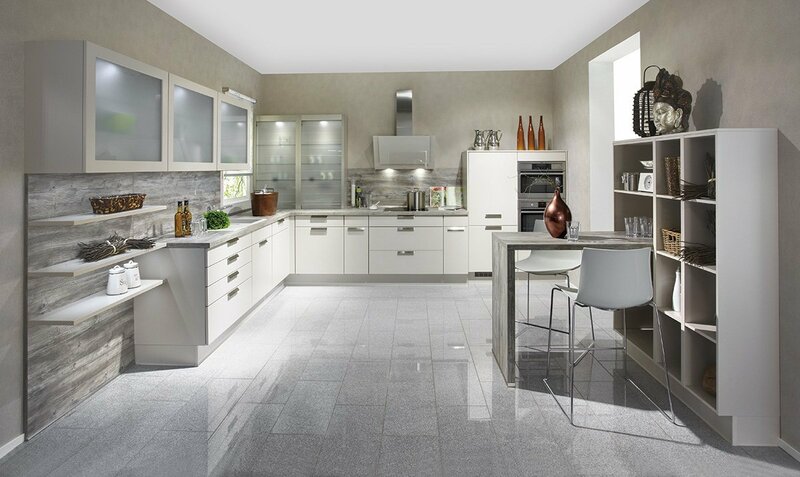 Appearance: Nobilia German kitchens designed with a high gloss finish are great for making your kitchen look larger and more spacious. Light is reflected into the room, giving off an impression of an expansive area. If you decide to go with a matt kitchen you won’t be disappointed, once installed they dramatically transform your room, turning it into a space that radiates style and elegance. Our high-quality products offer the same impact as any gloss kitchen, selecting from our matt kitchen range makes choosing a design easy. A matt finish is contrastingly different to a gloss kitchen, the material used in this design absorbs light, rather than reflecting it back into your home. Solidity: Since matt isn’t dependent on light, you get a consistent colour that doesn’t alter throughout the day. Installing a matt kitchen gives your home an unswerving style, a design that stands alone, regardless of natural or synthetic light. Concealing Features: Because light is absorbed by matt, it covers unsightly stains, smears and fingerprints. Furthermore, it offers resilience with scratch resistant features. By visiting our designer kitchen showroom, you get a chance to view our extensive range of both matt and high gloss kitchens. 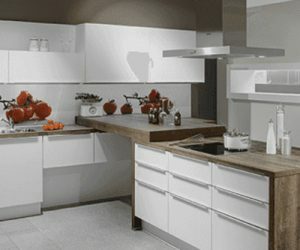 When it comes to choosing a first-class German kitchen design, the decision really comes down to personal preference.